It's a tough time to be courageous. Fear is all the rage, the currency of politics and pontification. For a country built on ideals of intrepidity and dauntlessness, how strange that we've become a culture hiding behind walls of artillery, clinging to the coattails of our most xenophobic and narrow-minded. Which got me to thinking about the people in my own life. My friends. My circle. Those with whom I share this world. In doing so, I couldn't help but recognize what a courageous bunch they are, which, in the quaking of our current zeitgeist, seemed worth noting. My friends are a wildly diverse group. A great many are artists of every medium; some are contractors, wood workers, or builders, with a growing number in the professions of engineering, law, and medicine. There are teachers amongst them, administrators, students, and counselors; dog caretakers, people caretakers, family caretakers. There are bakers, bikers, and bartenders. Some are parents, others are happily childless-by-choice. Blue collar, white collar, every kind of collar in between are all part of this eclectic group. They are members of every ethnicity, color, orientation, and religious affiliation. Most tend toward liberal, progressive, or Democrat philosophies, but there are bona fide conservatives, libertarians, and Republicans in the mix, some even in my own family. Most are American-born, some are immigrants; some naturalized citizens; some visitors. As I said, a diverse collection, but with one thing in common: they are courageous. Why do I say this? Because I know them. I talk to them, debate with them, spend time, share posts, and have dinner with them. Some I know only peripherally, others are in my closest circles. They are as disparate a group as you could imagine, but share a trait that is harder and harder to find in a country beset by mass shootings, gun paranoia, bomb threats, terrorism (or--more realistically--fear of terrorism); racial animus, police brutality, religious zealotry, political fundamentalism, and an election frontrunnered by gas-baggers spinning fear like toxic cotton candy. Courage. To see beyond smokescreens to the bigger pictures hidden in cleverly edited snapshots. Courage to disentangle truths woven into hyperbole and distortion. Courage to accept a world in which the good of the collective sometimes supersedes the wants of the individual. They are courageous because they recognize that, beyond exteriors of race, ethnicity, religion, financial status, gender orientation, or political proclivity, we are each made of the same stuff, with hearts that beat and souls that yearn, generally, for the same things: happiness, love, meaning, safety. They are people disinclined to conduct lives built on the shaky foundation, the corrupt inspiration, the insane illogic of fear: fear of crime, fear of failure, fear of loss, injury, and death. Fear of others. That's the big one these days: fear of others. Because it's others who perpetrate and inflict the list of things we fear most. Others who are the monsters under the bed, the "boogey-men" of childhood nightmares, the deviants out to sway and steal our children, break into our homes, kill our families, terrorize our every waking moment. Others are impossible to predict, to catch, to identity, to ever fully eradicate. And while the "smarter fearful" know that what they fear can look, talk, think, and pray just like them, the "average fearful" project their anxieties onto others, a differential that drives the scare tactics most successful in manipulating our fellow citizens. And it's working... that we can see, that we know. It appears all a person has to do is stoke that fear, poke the snake of rage and bigotry just beneath that fear, to unleash the kind of paranoiac, xenophobic, gun-toting panic that currently reigns. And the person doing that? He becomes the hero, the frontrunner, the Big Daddy who promises to keep the monsters away, chase those boogey-men from the closet, keep us safe from people--others--out to do us harm. And the fearful amongst us vault these demagogues, despite suspecting (knowing) they're unqualified and undeserving; they stockpile arms, despite statistics (and the Harvard School of Public Health) telling us guns do not keep us safer; they rally against refugees even when told they're families and children fearful of the same others we fear; they pretend circling the wagons of old-timey, white, Christian America will keep out people with darker skin and stranger names, despite the fact that old-timey, white, Christian Americans have perpetrated some of the worst crimes in American history. They defy logic at every turn... because fear trumps logic (verbiage intended!). And yet... in the bubbling cauldron of this unholy stew, my friends stand out, stand strong. They're the ones unwilling to be bowed by hate and fear, refusing to shut eyes, ears, and minds to logic and new information. They're relentlessly capable of adjusting beliefs and instructing themselves with evolving details; willing to be pounded and pilloried for promoting solutions that are unpopular but necessary for the greater good. They're joining rallies, writing speeches, aiding causes, and teaching their children well. They're committed to civility, resistant to misinformation and propaganda. They're positioned to push, defend, and educate against hate and harm however it presents, but remain convinced that humanity of every kind deserves our consideration, curiosity, and concern. They see the value of honor and integrity as it relates to matters both large and small, from fighting for civil rights, gender equality, and religious freedom, to conducting and curating their public and private debates to prevent bile and venom from hijacking necessary conversations. They find a balance between sharing inevitable news of the day with the hope and beauty of life (meaning, they post baby and animal videos to the delight of this writer, along with theses on terrorism and the state of human rights). Both are necessary. And both take a comprehension of the arc of life and its rhythms, something smart, courageous people understand. My friends understand. So I write this today as a salutation, a nod, a "thank you" to those friends, far and wide. To express my admiration, my gratitude, my pride in knowing that the world can be made up of people who conduct lives of compassion and understanding, devoid of hate, small-mindedness, disrespect, and xenophobia. Despite horrifying events here and in our global communities, despite the dangers of living in the modern world, despite understandable anger and fear, courageous people know that life beyond the headlines retains its capacity for joy, love, safety, and friendship. 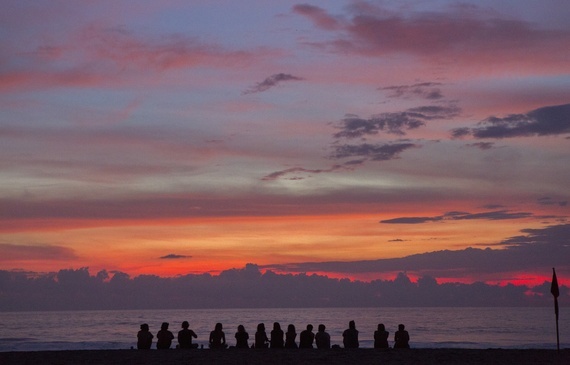 We do get to choose our circles; how we live our lives, how we view the world. And I'm grateful today for my circle, my view, my life... my courageous friends. They are the ones helping make this country, this world, a better place. 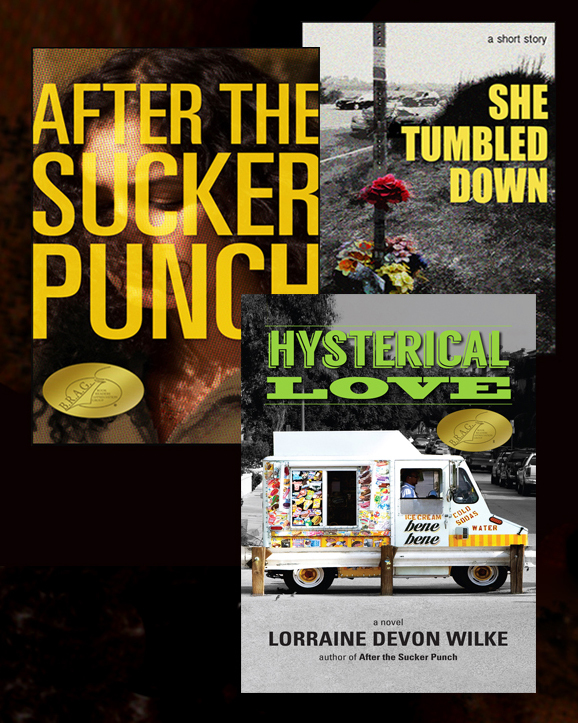 Follow Lorraine Devon Wilke on Facebook, Twitter and Amazon. Details and links to her blogs, photography, books, and music can be found at www.LorraineDevonWilke.com.